Dirty Diana – Melbourne International Comedy Festival may be the upcoming event you’re looking for. Company 13 proudly presents, as a part of the 2019 Melbourne International Comedy Festival, Macdeth, a cracking, kid-friendly classic filled with physical comedy and the tastiest morsels of Shakespeare’s prose! Blow the dust off your schoolroom Shakespeare and rejuvenate your experience of seeing a true theatre classic with Company 13's, Macdeth. Great for kids and adults alike who are convinced Shakespeare is going to be unfathomable and boring, Macdeth is a riveting and hilarious tale combining Shakespeare’s rich language with everyday english. It pulls no punches, taking audience members on a journey of murder and foul play, injustice and cruelty... and one man’s ambition gone horribly wrong. 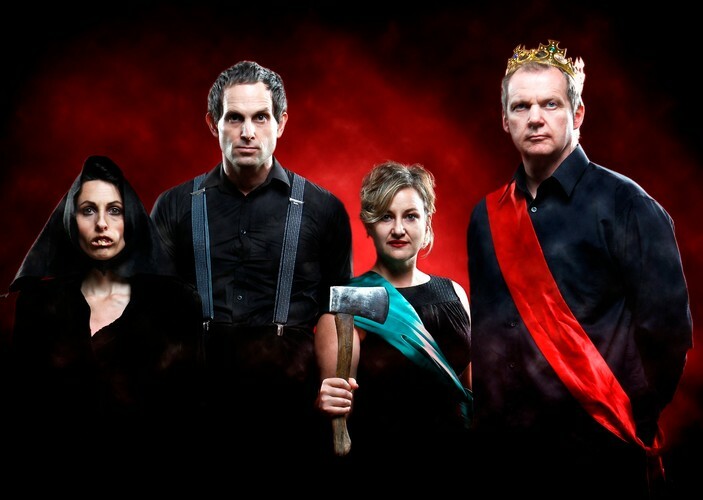 This Melbourne International Comedy Festival, join Company 13 for this limited return season as they enact the dreadfully bloody tale of Macbeth’s passage from a comfortable nobleman, to despised tyrant. This is Shakespeare unplugged and re-wired! The perfect show for those who love their classics with a twist. Bookings: 03 9685 5111 or online at Malthouse Theatre and MICF websites.